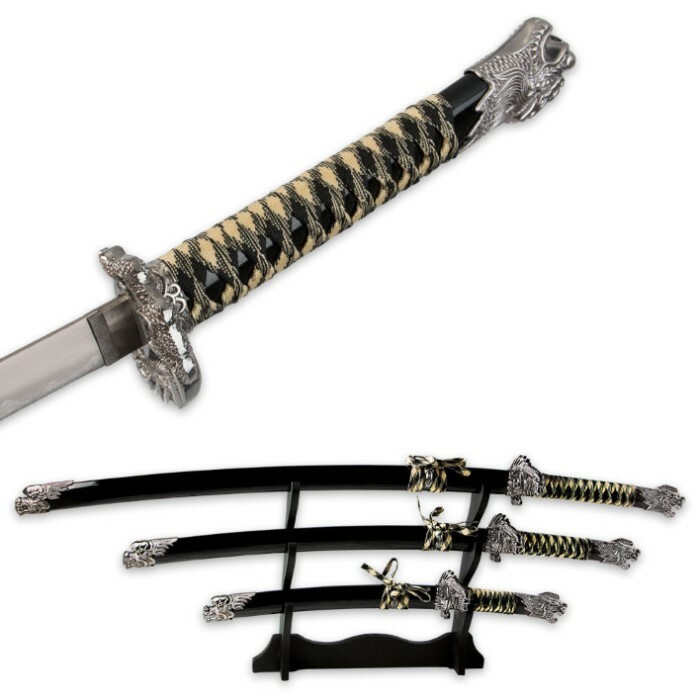 Our collector's edition three-piece samurai sword set will bring a bit of storied history right into your 21st-century home! 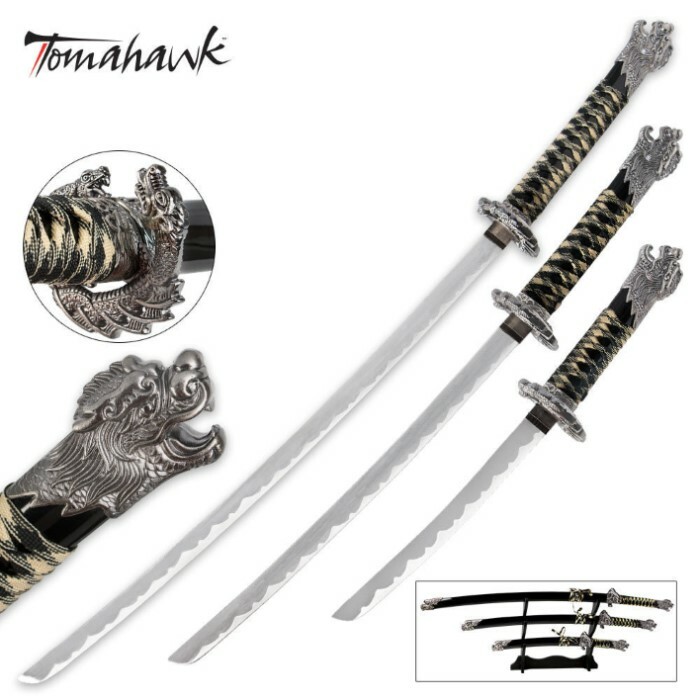 This exquisite set includes a traditional samurai katana, wakizashi and tanto sword. Each one features a carbon steel steel blade with a meticulously detailed handle design. The hands are wrapped in beautiful cord with cast decorative embellishments. 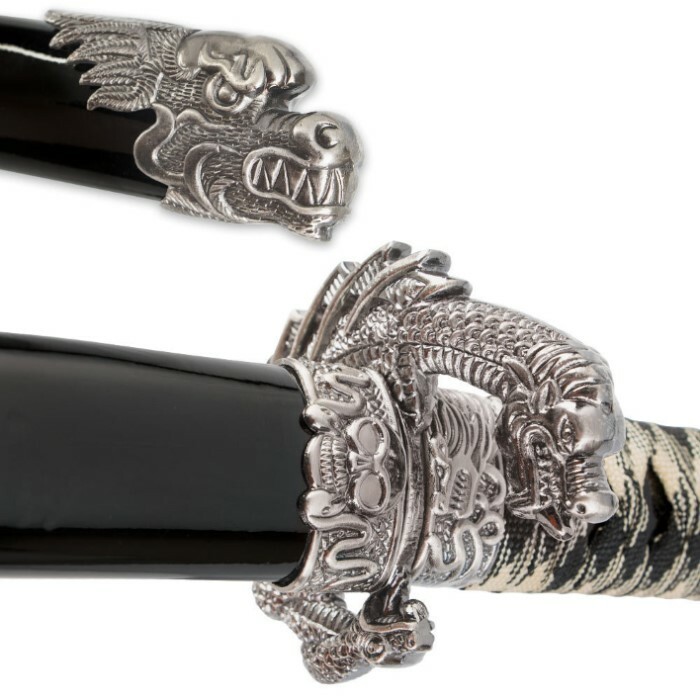 The coordinating tsuba and pommel feature intricate dragon motifs. A three-tiered stand is included to showcase this heirloom-quality masterpiece. "ok for decoration, but not worth the price"